Who hasn't heard of Felix Kubin - the 'Whirlwind Wizard of the Ivories', whose appearances on stages at a multitude of health spas rendered audiences almost speechless ? The only remaining, tattered photograph we have of him was taken during his heyday in the Baderstreick (an area of what was then known as Czechoslovakia), where he was worshipped as a god by the bourgeoisie. His technique was often compared to that of Mozart, and it was endlessly suggested that he was tirelessly involved in numerous romantic liaisons. By the early 60's the pubescent Felix (officially known as Friedel Kern) had already attracted a lot of attention with his seductive and uncannily precise organ playing. His legendary and unforgettable dance-hall soirees at the Cafe Senator in the town of Bergendorf impressed both young and old alike. Eventually he attracted the attention of the famous chanson singer Elias Zankapfel who introduced him to the rest of the world at exclusive receptions for the Shah, the Maharaja, various State Presidents and even the Queen of England. It was about this time that Felix Kubin's popularity skyrocketed into orbit. During the winter of '76 a startling accident unexpectedly change the course of his life forever. 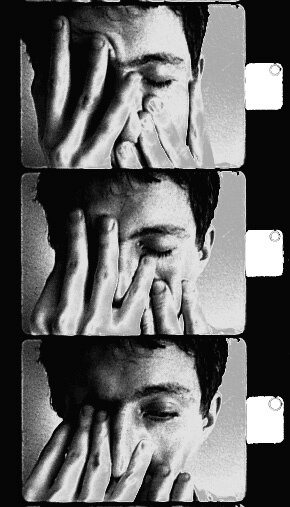 For reasons which he has never revealed, the organist refused to appear in public and the name Felix Kubin slowly faded into temporary obscurity. organ at satanic masses. After many difficult years, and with the help of a qualified solicitor, he finally succeeded in turning his back on this lifestyle and eventually managed to recoup his energy while staying at his favorite place of refuge, the Bad Lux Health Spa. It is still a complete enigma how he managed to telepathically contact the long-lost space pioneer Yuri Gagarin. 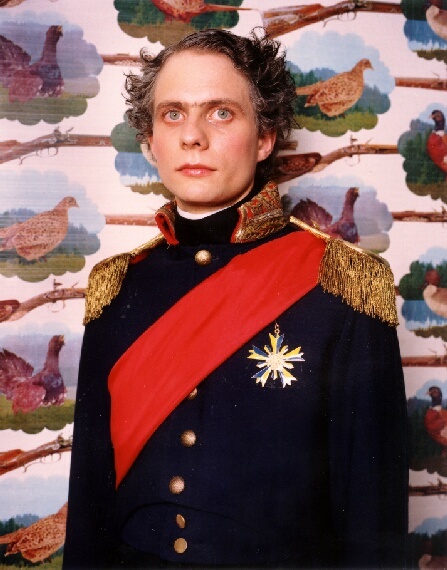 Indeed, Felix Kubin might very well be the most important clairvoyant for the now incorporeal cosmonaut, whose phantasmogorical concepts are telepathically transmitted through Felix Kubin as desolate and futuristic electronic compositions. This music is the melancholic hum of protons. 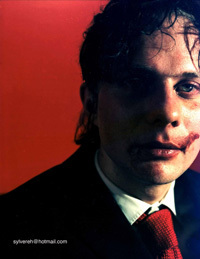 On 24.6.98 Felix Kubin, one half of the Hamburg based Futuristic noise band KLANGKRIEG, followed the sad humming of protones and founded his own label GAGARIN RECORDS for Psycho Sci-Fi Pop. 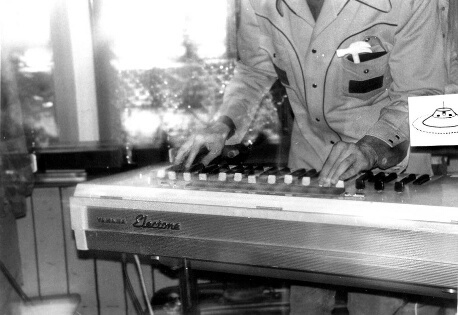 His experiences both in electroacoustic music and strange electronic pop (that he followed in the early 80ies with his notorious band "Die Egozentrischen Zwei") induced him to launch a Vinyl record label for all kinds of Dada-electronics on the edge of pop and experimentals. Gagarin Records especially focusses on the song format with short concentrated imaginative tracks. "Felix Kubin is a Devil in Gods clothes.He plays organs like Jussi Tennilä (Siilinjärven Ponnistus) does slalom, fastly but surely, strongly but lovingly. His one man show is the best Hamburg can offer, besides Reeperbahn. Our goal for some time has been to make a record together, but always when we record, the sound disappears from the magnetic tape. We believe this has got something to do with Felix's Outer Connections. FILM MIT MUSIK VON KUBIN, HELGOLAND U.A.